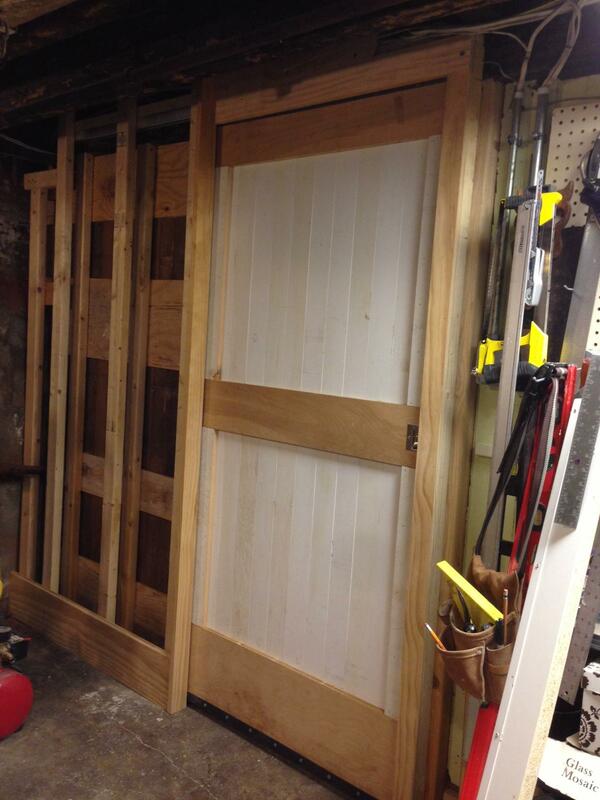 I was back in the basement to do some more work on the shop door we built during the winter. 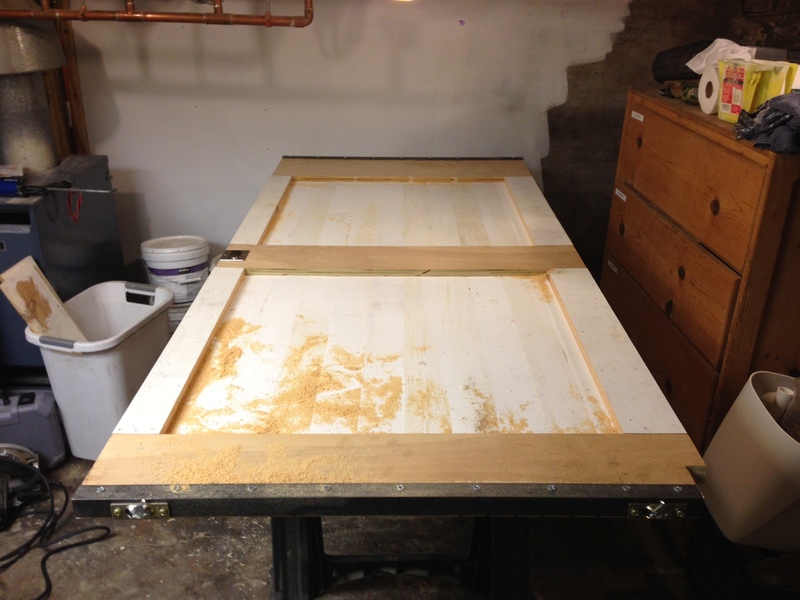 We added stiles to both sides of the door to get a better seal to the door pocket and for the overall look. 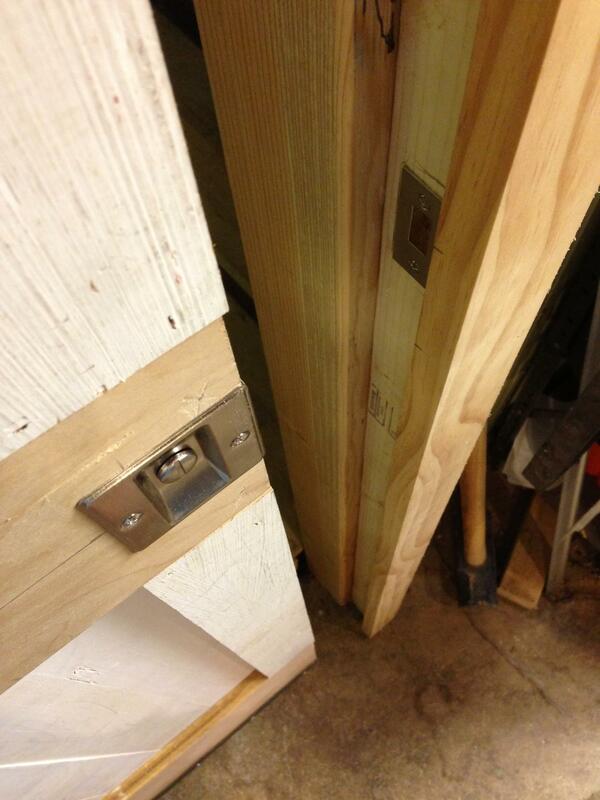 We also installed a lock with a flush pull so we can easily open the door. 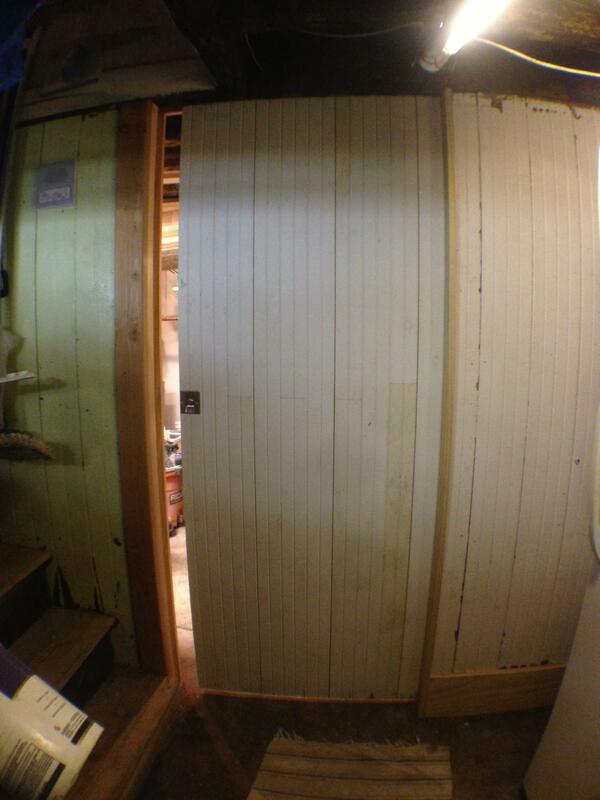 Lastly, we trimmed around the sides of the door to finish it off and close off the gaps. On the inside we still need to install peg board over the exposed studs and then this wall will be all done. The door closes in this recess to give it a good seal. 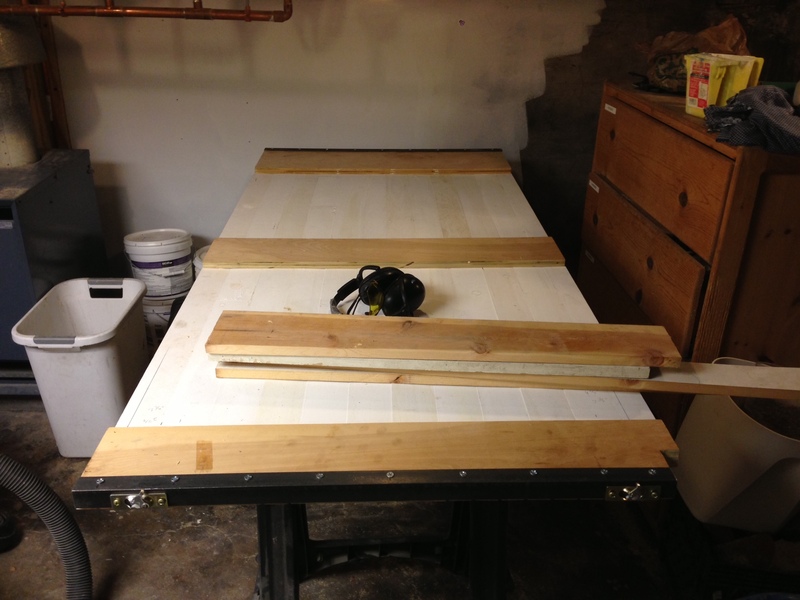 The goal is to keep the dust in the shop and the rest of the house clean. ← Huff and Puff and Blow Your House Down!